Come to the Filoli Flower Show Thursday, June 1-Sunday, June 4. The event will feature exquisite floral designs and elegant table settings. 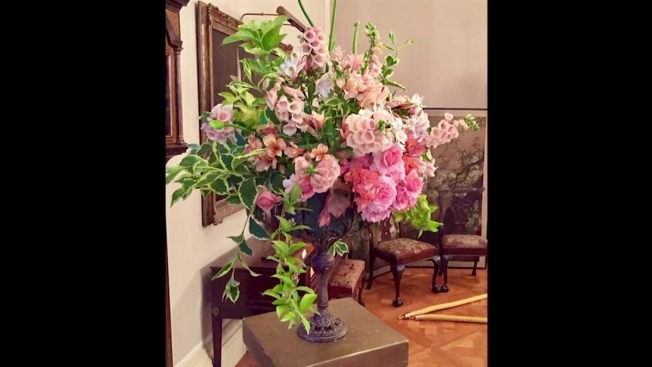 Floral designers interpret the theme, “Time Began In A Garden: A Centennial Celebration.” There will be opportunities to tour the garden, exhibits, and vintage greenhouses. Garden Information Specialists will be available from 12-3pm to answer questions. A new event will take place every day. Kicking off with the Opening Night Preview Party, on Thursday, June 1st, from 6-8:30pm, this will give visitors a first look at the exhibits, and a chance to talk with floral designers while enjoying live music, hors d’oeuvres, wine and champagne. The Flower Show General Admission will take place of Friday, June 2- Sunday June 4, from 10am-5pm with the option to attend the Champagne Tea and the Café Dining and Outdoor Barbeque Lunch.